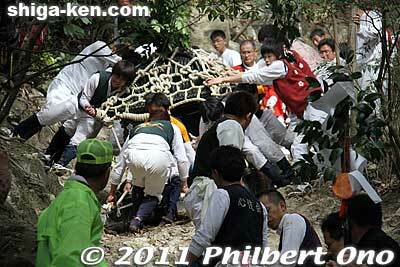 The Sannomiya mikoshi passes in front of us as they dragged it down the rocky slope. People do get hurt. I saw one guy who had hurt his foot, but was able to walk back down the mountain while accompanied by a fireman.